This article discusses some of the legal documents that can assist in planning for the physical care of a minor child in the event of a parent’s death or incapacity. Minnesota law provides that a parent may appoint a guardian over a minor child by will, designation of standby guardian, or certain other signed writings executed in the same manner as a health care directive. Wills are still the most common document used, but appointing a Standby Guardian seems to be increasingly popular. After reading this article you will have a general understanding of how both documents work to aid in the succession of a child’s care. The most common way parents plan for the care of their children is still through the appointment of responsible persons within a will. Traditionally, a will is used to name the person or persons that should take physical custody of the child if something should happen, and a trust is used to direct how assets of the parent should be managed – including for the benefit of the child. The person responsible for the child’s physical care is called the “guardian” and the person responsible for the management of the trust is called the “trustee.” It is not uncommon for parents to choose the same person to serve in both roles. Under standard procedures, a guardian named in the will is able to obtain court confirmation fairly quickly after both parents pass on. The nominated guardian must first file the will with the proper county court (if it has not already been filed) and an acceptance of appointment. The nominated guardian is then required to provide a legal notice containing certain statutorily required information to the child if the child is older than age 14; the notice must inform the child that the child may object to the appointment. If someone else has physical custody of the child, the nominated guardian must also provide the notice to such person. If nobody has objected, the nominated guardian will then be granted Letters of Guardianship. If an objection is filed, a hearing will be held and the court will determine who may serve as guardian. Minnesota law permits parents may petition for court confirmation of guardians and custodians prior to the death or incapacity of a parent, removing the need for a nominated guardian to seek approval from the court after something has happened. Ostensibly, a will could be used for this purpose, but filing the will in this manner would make it a public document, meaning its provisions could be read by anyone that cared to look. A separate document, known as a Designation of Standby Guardian and Custodian (“Designation”), should be used instead for a preemptive filing. The Designation allows the parent to maintain an increased degree of privacy relating to financial matters by avoiding unnecessary disclosure of information contained in the will. More importantly, filing the Designation prior to the triggering event allows the parent to proactively address possible challenges by family and friends who may object to the appointed guardian/custodian. By seeking court approval while alive, the parent may participate in a hearing should it be necessary. 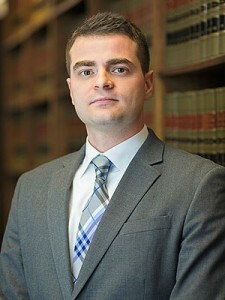 If the parent creates a Designation, but fails to secure court approval prior to passing away, the Designation is still valid, though with limitations. A person appointed in a Designation not previously approved by the court automatically has authority to act for 60 days following the triggering event. The nominated person must seek court approval to extend the Designation for any period greater than 60 days. The Designation of Standby Guardian should not be confused with the Designation of Temporary Guardian. Designation of Temporary Guardian is a document that parents may use to appoint someone to look after children while the parent is unable, for example, due to a trip overseas. The Designation of Temporary Guardian, however, is limited to 24 months in duration; the Designation of Standby Guardian has no such limitation. None of the documents discussed above may be used to deprive a parent of parental rights and responsibilities. Only a court may determine that another person may serve as guardian/custodian if the other parent: (1) still wishes to serve, (2) has parental rights, (3) known whereabouts, and (4) the ability to take care of the child. Furthermore, the above documents, on their own, do not relieve the responsibility of a parent to support a minor child, and the appointed person has the right to sue an absent parent for child support if the parent is neglecting their responsibilities. Appointing a guardian and/or custodian in the manner discussed above is a simple and useful way to reduce friction in the succession of caregivers for minor children. Without any such document, a would-be guardian must engage in a much more formal, drawn-out, process, involving the preparation and filing of a legal petition, the court-appointment of an attorney to represent the child, the appointment of a designated visitor to evaluate the home and suitability of the proposed guardian, and a hearing to confirm the appointment. Appointment of a guardian – be it through a will or use of a Standby Guardian Designation – is, in contrast, much simpler, faster, and easier for everyone involved. A skilled trusts and estates attorney should be consulted for assistance with any estate planning matter. Dudley and Smith has advised on these and related matters for more than 60 years. Please give us a call to schedule a free 30 minute consultation, 651-291-1717. Minn. Stat. §§ 524.5-202 and 257B.03 deal with the appointment of standby guardians and custodians, respectively. Though largely overlapping in the powers and rights they relate to, it is worth noting that guardian and custodian are distinct legal concepts. For example, there are some instances when a guardian may exercise the power of contract with regard to a minor’s property, but a custodian may not. For the purposes of this article, the distinctions between the terms are largely irrelevant. This article does not constitute legal advice, nor does it constitute the initiation of an attorney/client relationship. Please consult an attorney for advice specific to your situation.